While today's generation knows technological terms, at one point in time certain words and/or phrases meant something else entirely. 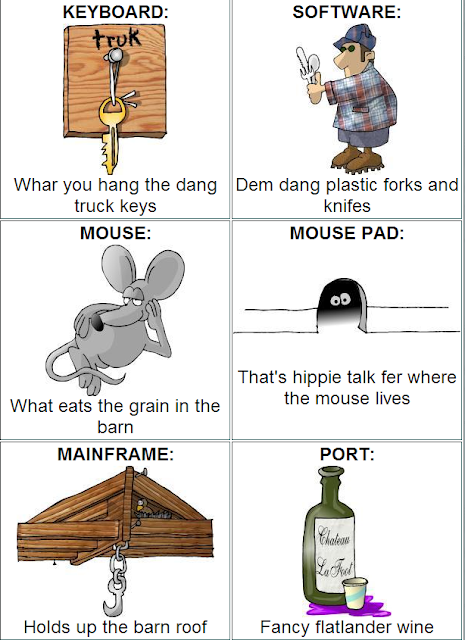 For the record, these definitions come from "The Backwoods Guide to Computer Lingo" by Dave Nilsen and the illustrations are the creations of Dennis Cox at D. J. Art & Design.